A scientist (Charles Martin Smith) is commissioned by the Canadian government to hypothesize the reason for the diminishing caribou population in the arctic. 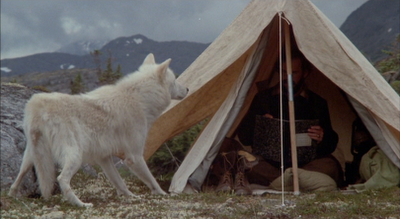 While surviving on his own in the sub-zero climate, he develops a bond with the local wolf population and learns they are not the fearsome killers as largely purported. Like Carroll Ballard's The Black Stallion, Never Cry Wolf is fantastic storytelling set against a majestic canvas and contains the capacity to take the viewer's breath away. Smith delivers a brilliant, somewhat offbeat performance and Brian Dennehy provides colorful support. A young woman (Tippi Hedren) routinely procures secretarial work and proceeds to rip off her employers before making off into the night. 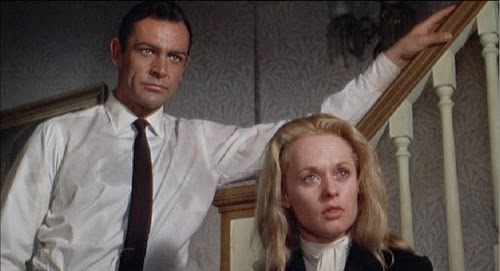 When one of her victim's clients (Sean Connery) discovers her treachery, he arranges to acquaint and marry the thief, largely in part to understand her pathology and have her confront its source. With Marnie, Alfred Hitchcock explores similar obsessive, psychological territory as he did with Vertigo and handles a bizarre story with style and flair. Hedren's character journeys to unexpected places and she offers a thorough and multifaceted performance, though Connery's character is somewhat underdone and comparatively let off the hook. 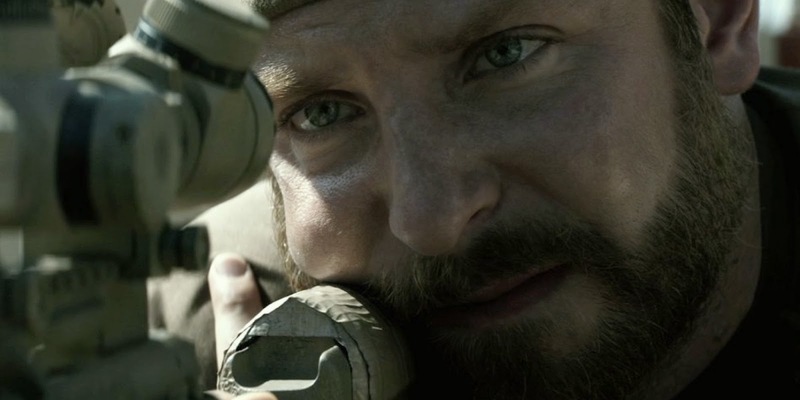 Chris Kyle (Bradley Cooper), a Texas rodeo rider with vague ambitions of being a cowboy, an ingrained sense of honor and justice, and a crack shot with a rifle learns of a series of American Embassy bombings and immediately enlists as a Navy SEAL. Upon completing the unsparing training and acquainting with the love of his life (Sienna Miller), he deploys to Fallujah for four separate tours where the horrors of war alienate him from his family and tear at his soul as he quickly becomes the most deadly sniper in all of American history. Clint Eastwood's production of Kyle's memoir is a late career rebound for the 84 year old virtuoso and a specific delineation of the terrors faced by our soldiers in the recent Middle East campaigns. While domestic scenes tend to drag, especially towards the finale (though they are not without power and substance), the battle scenes are flawlessly executed and contain a clarity that is usually not present in similar productions (the muddled action sequences of Black Hawk Down came most prominently to mind). Cooper offers a transformative performance (several times during my viewing I found myself amazed that I was watching the same actor) and Miller does her best with an underwritten part which only calls for her to worry and protest. Since they've expanded the Best Picture category a few years back, this year is the fewest nominees we have seen with eight, perhaps another reflection of the sad state of the movie industry. 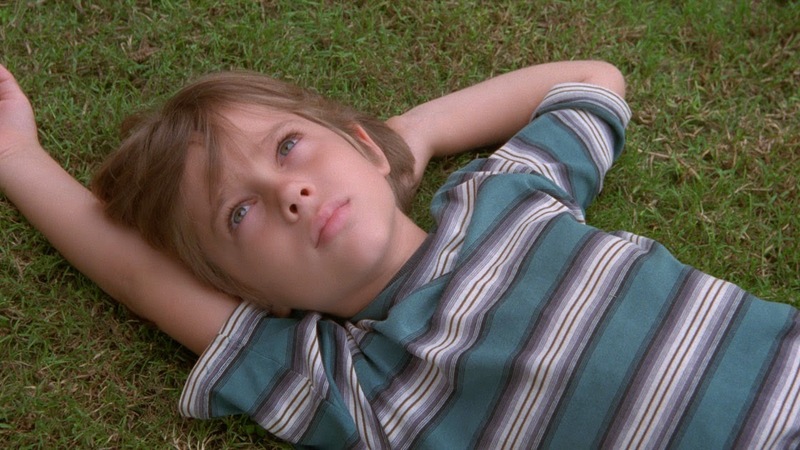 Again Boyhood appears the favorite, and rightly so, and to my mind sees its only competition from Birdman. 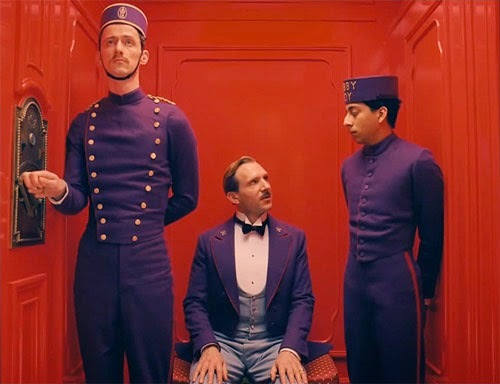 It was good to see nods for The Grand Budapest Hotel and Whiplash and I can't understand why excellent films like Nightcrawler, Inherent Vice, and Fury didn't make a bigger splash. I also found it odd that Bennett Miller drew a Best Directing nomination without Foxcatcher cracking this category. 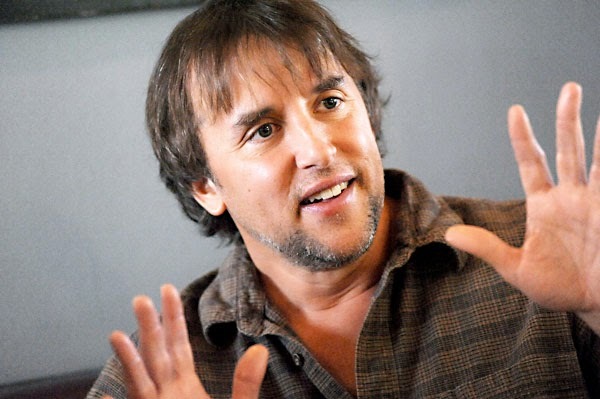 I don't see how Richard Linklater loses here. His magnum opus has been roundly heralded on the awards circuit and I don't expect that to change. Bennett Miller and Wes Anderson (his first) also received very deserving nods. 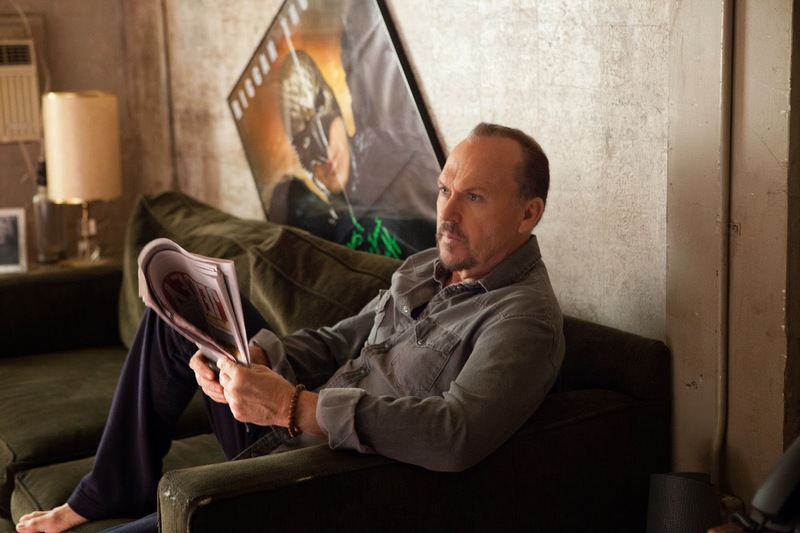 Michael Keaton was the sole redeeming quality of Birdman and for putting himself and his career on the line, he should be the recipient of this year's Best Actor trophy. He could see some major competition from Eddie Redmayne who did a fine job in mimicking Stephen Hawking physically but did not really create a character in The Theory of Everything. Bradley Cooper is a surprise in his third straight year on the podium (I haven't seen American Sniper yet), Benedict Cumberbatch finally gets a well deserved nod, and I appreciated Steve Carell in Foxcatcher although it was really a leading role. Finally, why didn't Ralph Fiennes, Brad Pitt, Joaquin Phoenix, and Jake Gyllenhaal receive more of a push? 2014 was once more a slack year for actresses. Granted I haven't seen two of the nominated performances yet (Marion Cotillard in Two Days, One Night and Julianne Moore in Still Alice), but very little in what I saw otherwise was praiseworthy. Of the remaining nominees Rosamund Pike and Reese Witherspoon ranged from irritating to unspectacular and Felicity Jones was just plain forgettable. I only wish the Academy would have found room for Hillary Swank for a superb work in The Homesman. Always the most interesting category and this year is no exception. 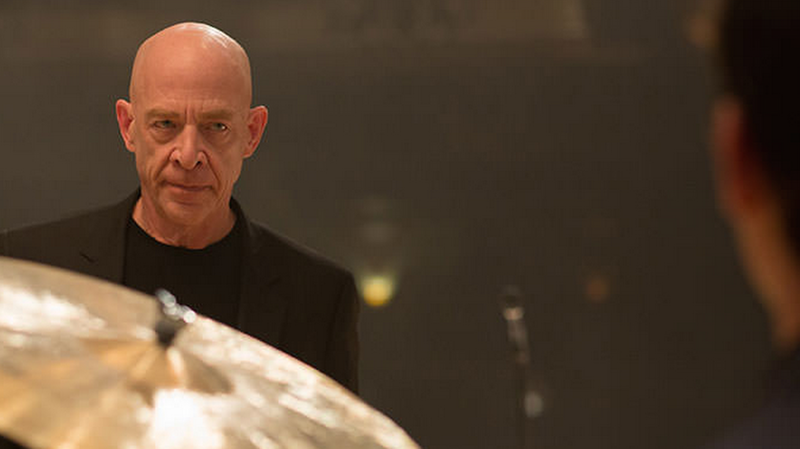 J.K. Simmons is the favorite for powerfully honing his talents as a tyrannical jazz instructor but if pressed I would be hard torn between Ethan Hawke's imperfect though well meaning father in Boyhood and Mark Ruffalo's self-assured, tragic Olympian in Foxcatcher. I haven't seen Robert Duvall's work in The Judge and I don't understand what people found so special about Ed Norton in Birdman. As for snubs, I just want to add that the Academy (and everyone handing out awards this season) really missed the boat when it came to nominating Shia LaBeouf for his work in Fury. Patricia Arquette and Keira Knightley were impressive in unassuming roles. Laura Dern and Emma Stone pushed the envelope of irritation in extremely grating performances and if anyone other than her majesty Meryl Streep would have played her role in Into the Woods, you could guarantee it would have not been up for an award, no matter how strong the showing. Lastly, I would have liked to see some recognition for Rene Russo in Nightcrawler. Mrs. Bennett (Brenda Blethyn) is keen to marry off her five daughters before their estate transfers to a relative upon the death of Mr. Bennett (Donald Sutherland). Upon hearing the news of the arrival of a wealthy landowner to a neighboring property, Mrs. Bennett sends daughters Jane (Rosamund Pike) and the fiercely independent Elizabeth (Keira Knightley) to the welcoming ball in order to woo the eligible bachelor. While Jane seems to prove successful, Elizabeth finds herself being simultaneously attracted and repulsed by Mr. Darcy (Matthew Macfadyen) the brooding, arrogant, and mysterious best friend of the host. Now, as the two encounter each other more and more in polite society and their mutual attraction becomes undeniable, they must each attempt to overcome their vanity and preconceptions. 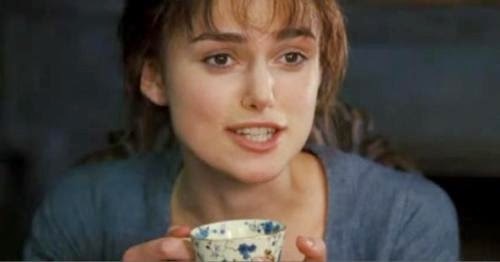 Joe Wright's Pride and Prejudice is an involving and wry telling of the oft-filmed Jane Austin novel which boasts gorgeous cinematography that perfectly captures Knightley's luminescent beauty who, in turn, is astounding in her performance. Sutherland and Pike also shine in supporting roles. A trio of co-eds, led by the spirited Violet (Greta Gerwig), who run a suicide prevention group and aim to improve the general well-being of students at their Seven Oaks College, take a new transfer student (Analeigh Tipton) under their wing. Whit Stillman's Damsels in Distress feels like every other movie he has ever made (Metropolitan, Barcelona, The Last Days of Disco) yet still is intelligent, likable, and good-natured with winning characters who occasionally annoy. Gerwig and Tipton are extremely appealing in their roles. In 1973 PBS released An American Family, a documentary series that followed the day-to-day ongoings of a middle class family which proved to be an early predecessor of reality TV. Cinema Verite tells the story of how producer Craig Gilbert (James Gandolfini) developed the idea for the show and convinced his friend (Diane Lane), her husband (Tim Robbins), and the rest of their family to participate in the landmark experiment and goes on to record the expected dramatic fallout that ensued. Shari Springer Berman and Robert Pulcini's film tells an intriguing behind-the-scenes story which moves at too brisk a clip and does not spend enough time letting you get to know all of its players (while time spent on major characters is quite fascinating). Lane nails her highfalutin character and Gandolfini and Robbins both turn in equally strong performances. Ken Burns profiles the celebrated and world renowned architect who revolutionized the form with designs ranging from Fallingwater, his home studio Taliesin, and the Guggenheim Museum and left in his wake no shortness of controversy, tragedy, eccentricity, and unmatched genius. 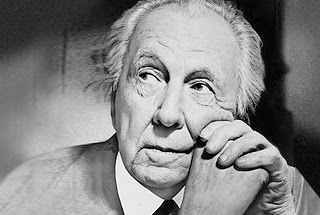 Frank Lloyd Wright stands amongst Burns' best work, featuring great footage, commentary, and narrative in his presentation of a brilliant, irascible, and contentious personage. On the beaches of Los Angelas in the 1970s, part-time detective and full-time doper Doc Sportello (Joaquin Phoenix) receives a call from his ex (Katherine Waterston) who asks him to look into the dealings of her current tycoon boyfriend. When she goes missing shortly thereafter, Doc is hurled into a psychedelic labyrinthine underworld featuring a kaleidoscope of layabouts, druggies, overzealous cops, menacing power players, and other L.A. types. 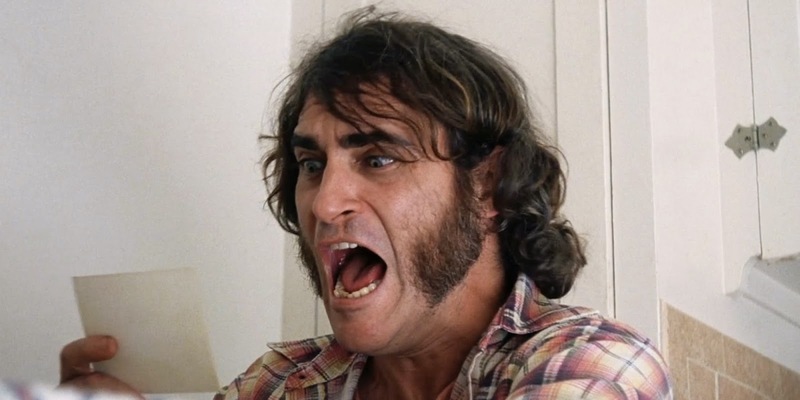 With Inherent Vice, Paul Thomas Anderson takes a step back from the epic-scaled ambiguities of There Will Be Blood and The Master with his no less lengthy and ambitious adaptation of Thomas Pynthon's recent novel, his first to reach the big screen, which again affirms Anderson's meticulous talents plus an affinity for comedy (and perhaps demonstrates why Pynchon's scattershot work has taken so long to be adapted theatrically). Vice is irreverent, bizarre, and often hilarious with a convoluted, drugged-out plot that plays like a mash-up of The Big Lebowski and The Long Goodbye. Phoenix demonstrates his versatility once again in a finely tuned, humorous turn and receives like support from Josh Brolin and Owen Wilson. A woman learns that the man who raised her is not her birth father. A violent psychopath is put to death. A father bestows in his son to hold science over all else and pays the ultimate price. The Decalogue is a television mini-series, ten episodes, each loosely based on one of the Commandments and revolving around residents of a Warsaw Public Housing Complex. 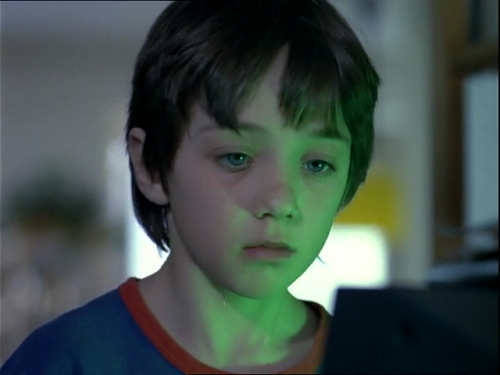 Krzysztof Kieslowski's ambitious, genuine passion project is epic in scope, often engrossing, and features poetic imagery but is frequently impeded by obvious moralizing.